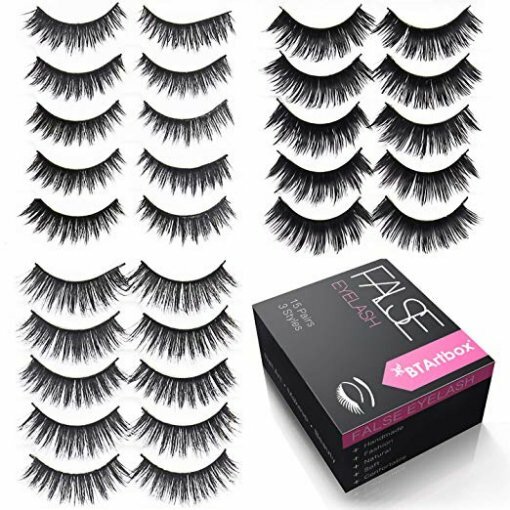 3 Styles, 15 Pairs, Premium Quality: 5 pairs false eyelashes each style. 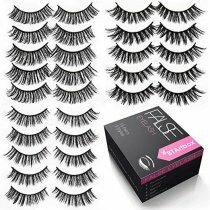 Most fashionable style false eyelash, full but natural looking, excellent length and width. Bring you different creative look in different occasions,like party, dating, travel etc. Soft Material & Lightweight: Made of thin fiber material, let the false eyelashes are soft and comfortable to wear, and the ultra thin fiber fake eyelashes will give you a natural and beautiful look for daily life, party and so on. 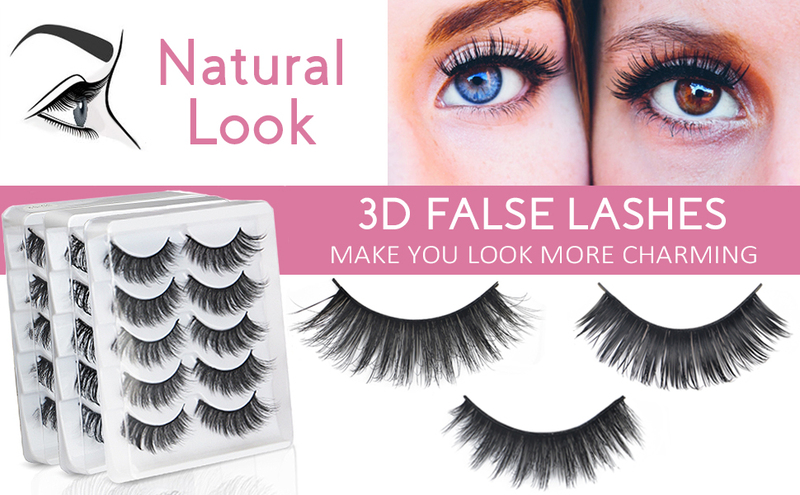 Use & Reuse: Get your money's worth with these reusable false eyelashes that can be used up to 5 times with proper care. Lightweight, the lash bands sit easily on your eyelids for optimal everyday comfort. A Terrific Gift: Housed in a gorgeous box, this unique kit is perfect for any occasion. An ideal gift for your makeup artist, your friends, your boss, your mom, and your sister! 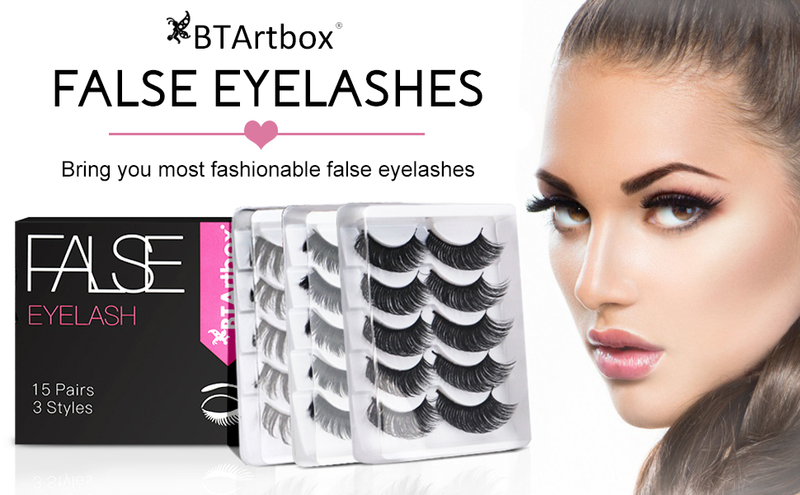 Remove the false eyelashes, and trim it to fit your eye length. Use both hands to adjust the false eyelashes to fit your eye curve. 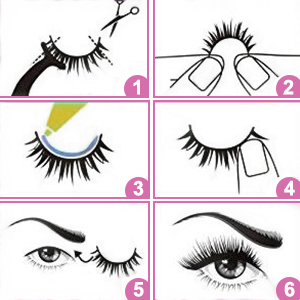 Add glue along the false eyelashes root with cotton bud. Hold the eyelashes on the root of your natural lashes with pressure. Close the eyes as appropriate and ensure a proper fit by blinking.